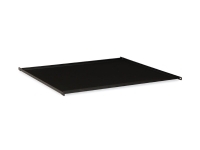 This Fixed Dual-Sided Shelf is designed for use in standard open frame 2-post floor racks. 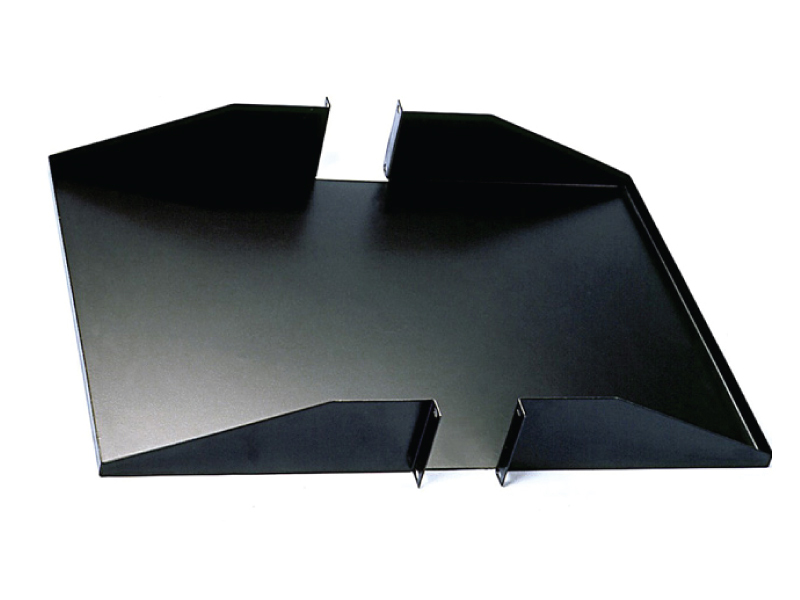 It is center balance on the rack to allow for extra support in front and back and are available in two sizes with an 18 inches and 25 inches depth. 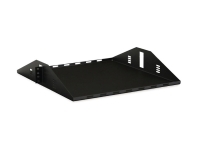 They come complete with a set of #12-24 mounting screws and has a black powdercoat microfinish to match rack color. 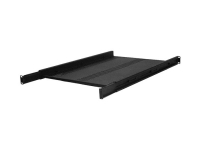 Rack Size Width 19" 19"
Rack Size Depth 18" 25"
14" Deep Lightweight Rack Shelf For Small Loads. 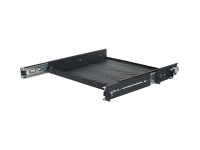 Medium Duty Rackmount Shelf Ideal for Mounting Into 2-Post Racks.